As I’ve often said, I’ve been on the hunt for my favourite Eco Flower Tint in Innisfree stores for a long, long time. So when I finally saw a lip product that resembled the tint in the 2018 Jeju Colour Picker, I knew I had to get it. The good news: no potentially-harmful chemicals/irritants! Having to pick just one colour when all the colours look fantastic is indeed torture. (Un)luckily, this product comes only in five shades, so you won’t have to rack your brain so hard. Alternatively, if you’re feeling generous, you could even buy all 5 shades! I eventually went ahead with no.5 after swatching at a physical store. It’s a beautiful pink – not too much of a bright pink, together with a tinge of coral. Packaging: Very misleading – I got duped into thinking that it was my favourite Eco Flower Tint, all thanks to the packaging. Personal grievances aside, I thought that this product’s packaging is pretty good. it’s definitely compact enough to fit into any makeup pouch. What’s more, I love this little catch they designed in the lipstick – there’s a soft, satisfying click when you cap it back so that you know for sure you’ve capped it properly. Colour: It looks like red in the swatch, but it actually applies pink on your lips. I would say it’s a coral pink? Colour payoff & intensity: This lipstick’s colour payoff is amazing despite being marketed as ‘medium-coverage’ – just one swipe is definitely enough to coat your lips. It’s not too intense that you might end up having to blot off some lipstick – just enough to look naturally good. Texture: It applies matte, but feels much softer and more comfortable than usual matte lipsticks. I definitely got reminded of Colourpop’s Ultra Blotted Lip and Peripera’s Airy Ink Velvet, both of which also apply matte while leaving a nice blotted, cotton-like feeling on the lips. Taste & fragrance: The moment I applied this, I immediately thought that it tasted like a bandung rose drink. It smells and tastes like a rose, which I’m not complaining about because it’s great. Staying power: With a bold claim that it ‘doesn’t budge’, I put it to the test on a few different days to see if it can survive long hours and multiple drinking & eating. It’s definitely capable of lasting if you’re going without food and drink for a few hours and still holds up very well even if you’re drinking. However, it does not hold up as well after eating a meal – most of the colour is usually gone after your food is gone as well, with only a very slight tinge of colour left on the lips. It was slightly disappointing because I was honestly hoping that it wouldn’t budge, as advertised. 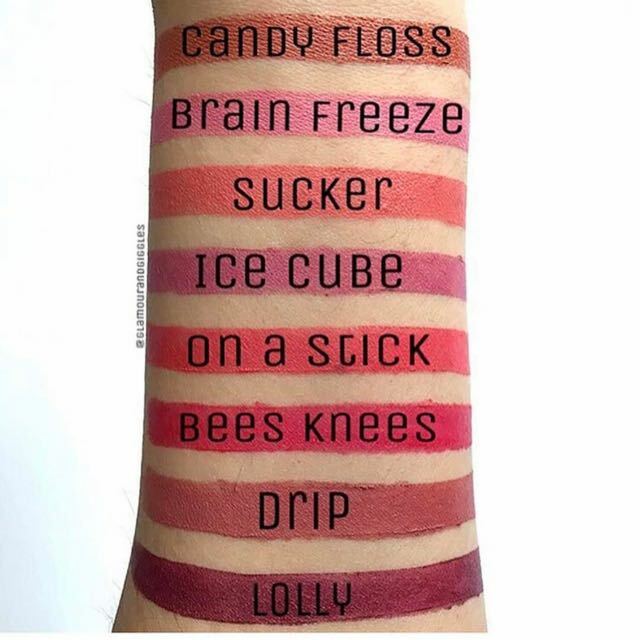 I love the texture and colour of this lip product. Colour-wise, I don’t really have anything similar in my Peripera and Colourpop collection, so this feels like a great addition. Overall, I think this is one good product to try if you’re a big fan of a soft, blotted lip look. I definitely am, so you can be sure that I’ll consider buying the other shades in future.